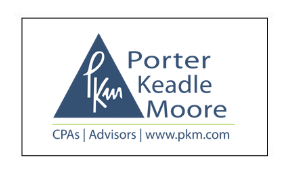 Porter Keadle Moore (PKM) is an established provider of accounting and advisory services with a wide breadth of expertise in areas such as risk management, auditing, tax and systems compliance. Since 1977, PKM has served the needs of public and private businesses, and today specializes in the finance, banking, technology, insurance and craft brewery industries. In addition, the firm represents more than 150 banks and credit union clients across the country and works with fintech providers to ensure their services meet regulatory standards. PKM also serves more craft breweries than any other accounting firm in the state of Georgia. One novel project the WMA team worked with PKM to develop is the launch of a successful podcast, GroundBanking. WMA pitched the idea to the PKM team and helped to craft an editorial calendar of initial topics and experts to be interviewed. Each episode of GroundBanking analyzes a new or exciting development in financial services and is designed to highlight interesting strategies bankers are using to streamline internal processes or better engage their customers. The podcast features experts who discuss challenges and opportunities they face in the marketplace such as embracing new technology, determining new lines of business or identifying how they can better serve their customers and communities. PKM Systems Partner Terry Ammons has hosted all episodes of the series, including the eight-episode first season, along with the currently available three episodes of season two. Click here to learn more about GroundBanking: https://www.pkm.com/groundbanking/. Additionally, WMA has built upon PKM’s successful client engagement efforts by incorporating its research and surveys into its public relations efforts. One survey on banks’ CECL preparedness resulted in a contributed article with ABA Banking Journal. While another survey that provided insight on bank regulatory compliance strategies led to the following infographic: https://www.pkm.com/survey-regulatory-compliance-strategies-and-preparedness/ which was published as part of an article on compliance in BankNews. As a result of these public relations efforts, PKM has demonstrated its proven expertise, been recognized as a thought-leader in financial services and now as a go-to resource for media seeking hard data and insight into the complex, and oftentimes difficult, issues they cover. Likewise, the program has also helped PKM secure speaking slots at state-wide and national industry banking conferences. To date, PKM has been featured in industry publications including ABA Banking Journal, BankNews, American Banker, Banking Exchange, Credit Union Times and Bank Director. Whether through interviews or contributed articles, since launching its PR campaign, the firm has seen a potential total readership of more than 630,000 industry professionals. In addition, the firm has secured wide-reaching national coverage in the Wall Street Journal and coverage in local Atlanta publications such as Atlanta’s NPR affiliate WABE News and VoyageATL. Additionally, WMA successfully secured PKM a speaking opportunity at BAI Beacon (an annual financial services conference with more than 1,000 attendees hearing from 120+ speakers) that featured PKM's System Partner Terry Ammons along with PKM client Carter Bank & Trust, titled: "Getting it Right: Effective Vendor Risk Management." Through the successful launch of GroundBanking, PKM has set itself apart from other firms and created additional market visibility, realizing significant lift in visits to the PKM website each month following the release of each new episode (the GroundBanking landing page has become the eighth most visited page on the site since June 2018). In its first year of production (March 2018 – 2019), the series received over 1,000 downloads (840 of these being unique), averaging 105 downloads per episode.